The Retail Expert's BLOG: Wondering About Wonder! It comes to us as no wonder (pun intended) that Deerfield, IL children’s behemoth, Wonder!, has shuttered its doors after only three short months. Mothers have discovered ways to become more efficient and are cult-like devotees to sites like diapers.com, thebump.com and babycenter.com for all of their baby needs. 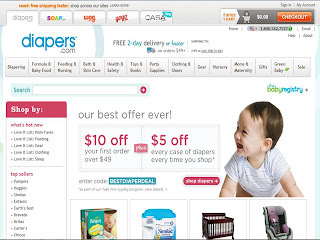 The rising popularity of daily deal and member-only sites has also chipped away at brick-and-mortar store sales. As the entire population becomes more tech savvy, it begs the question as to whether or not there is room in the retail landscape for large category killers which can take hours to navigate when customers can simply click and have it delivered the very next day. Wonder! did have a uniquely curated assortment of the best in everything from strollers to organic baby shampoo and an impressive team of retail minds behind it, yet it seemed to be plagued by its sheer size even before it opened. We originally visited during its opening week and were shocked to observe how few families were present on a nice Sunday afternoon. 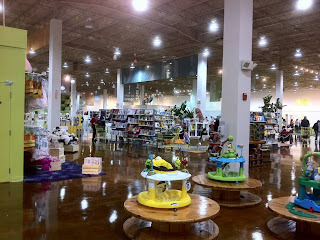 While it is a given that it would take hundreds of people to make the store seem full, it was incredibly sparse with only a child running by us every now and then. Also sparse were the corners of the store which were left empty as an early indicator of financial trouble to fill the warehouse-size space. By chance we visited again the Friday before Wonder! announced it was closing and noticed a few changes. Most notably, were the yellow sale tags offering 50% off dotting the store and massed out merchandise to fill the empty spaces. This is a strategy to make the space seem fuller, yet it is just more of the same item. The team at Wonder! seems optimistic about reopening the store once it works out its balance sheet and merchandise availability difficulties. We at McMillan Doolittle would recommend that they be overly cautious and assess the relevance of a store of this size in such a fragmented retail world.